Making a first impression can be stressful, especially when you don’t have the best smile. Even a stained smile can take your confidence down a notch. Luckily, whitening your teeth is one of the easiest ways to improve your smile! With advanced whitening technology, natural whitening remedies, and other ways of getting the brighter and whiter smile you want, you have many options to choose from. Knowing which option is right for you may be difficult, but you can always try multiple to find the one that works best for you! At Brookside Dental Care, we offer many different ways to whiten your teeth! But there are a ton of other options to choose from, which makes it easy to find one that works for you. 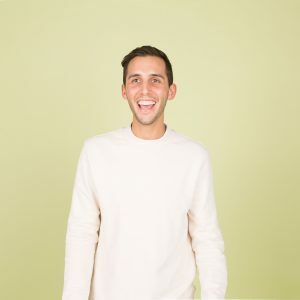 In this blog, we are going to take a close look at some of the different teeth whitening options and the benefits of each, besides whitening of course. Learn more and schedule an appointment with your Cheyenne dentist. Being able to take care of your stained teeth at home is convenient and easy. There are many ways to whiten your teeth without having to leave the house for a whitening treatment! Tray whitening is one of the options we have at Brookside Dental Care. 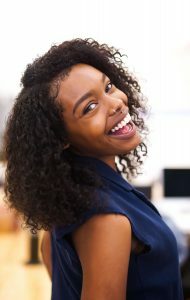 This type of whitening is unique because custom-made trays are created for you and filled with gel before being fit perfectly over your teeth. The gel can use certain ingredients to help with comfort, this can be good for those with sensitive teeth or exposed nerves. While we will provide you with the custom-made trays and whitening gel, this is an at-home treatment that takes 10 to 14 days to see the best results, although you may notice them earlier. Whitening strips can be found in more grocery store or retail stores. These are flexible plastic strips that fit over your teeth. You will get strips for the top and bottom row of teeth. The whitening gel is on one side of this plastic piece and applied by fitting the strip over your teeth and pressing them on. Whitening strips are easy to find and can provide good results, but they may not be great for those with sensitive teeth. These options are meant to remove stains from the surface or teeth and may whiten your teeth up to one shade. While these may be the most affordable options, they are probably the least effective. There are many ways to whiten your teeth naturally, the best is to avoid foods that stain your teeth in the first place, but we will look at additional natural whitening remedies. An article from Healthline lists a few natural teeth whiteners. Some of them include brushing with baking soda, using hydrogen peroxide, using apple cider vinegar, and simply brushing and flossing your teeth well every day. Let’s take a closer look at some of these. Baking soda has natural whitening properties, which is why it is often used in commercial toothpastes. Not only can it help whiten your teeth but it can also help prevent bacteria from growing since it creates an alkaline environment. Hydrogen peroxide, which is found in most of the commercial whitening products can be effective at whitening your teeth. It is also great at killing bacteria in your mouth. The main active ingredient in apple cider vinegar is acetic acid which kills bacteria. This antibacterial property helps to keep your mouth clean and whiten teeth. However, it may soften the enamel of your teeth, so be sure not to use it daily if you choose this method of whitening. There are many natural ways to whiten your teeth, and like everything, some work better than others. You may have heard the recent trend of brushing with activated charcoal. This is different from the grilling charcoal (don’t try brushing with this!) and can be used for many different beauty benefits. This is extremely absorbent and works to remove stains by absorbing microscopic food debris that is staining your teeth. One of the in-office teeth whitening options we offer. We will apply a whitening gel that uses light to work together and brighten and whiten your smile. This is a great option and may be the most effective, since it is a professional treatment. Whitening your teeth is an easy way to enhance your smile and give your teeth a bright appearance. Don’t let stained teeth hold you back from making the first impression. Contact Brookside Dental Care today to schedule your whitening appointment with our Cheyenne dentist or start using one of these at-home whitening options.